This comprehensive journey introduces you to the awe-inspiring natural wonders, arts, monuments and vibrant cities of Colombia. Colombia is one of South America’s most enigmatic and diverse countries, with buzzing cosmopolitan centres and archaeological ruins nestled within the lush Amazon jungle. Explore the magnificent coastal city of Cartagena by horse-drawn carriage, delight in visiting a number of UNESCO World Heritage Sites, discover Colombian traditions about the art of preparing coffee, and let the charm of Bogotá inspire reverie. Whether you are a seasoned explorer or a first-time visitor, the memories and experiences gathered from this trip will stay with you forever. Our tours are tailored to offer an exciting and wide-ranging look at the mysteries of Colombian culture, history, art, gastronomy and religion, with special excursions to unmissable natural and manmade sites. 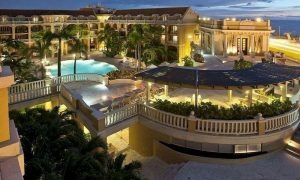 The 100% kosher tour and careful selection of the very best hotels permits you to travel comfortably and confidently, and your personal tour guide is available at all times to make your trip absolutely enjoyable. Colombia welcomes you – discover it with Deluxe Kosher Tours. Our flight arrives at the city of Cartagena. Enjoy kosher meals and in-flight entertainment during your journey, or read some of our suggested books about Colombia (see below). Upon arrival in Rafael Núñez International Airport we are welcomed to Colombia by our carefully-selected personal Deluxe Kosher Tours tour director. 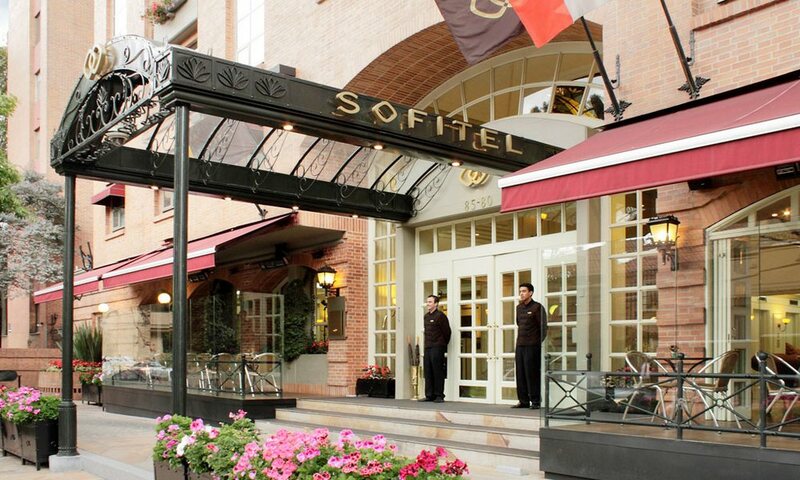 They will bring us to our luxury hotel, the Sofitel Santa Clara, and offer an introduction to Colombia and Cartagena. The hotel itself is an unmissable site in the city – a fairytale building that was originally built in 1621 as a convent, which elegantly combines Colonial and Republican-style architecture and boasts terrific views of the Caribbean Sea. In the evening we set off to explore the city. 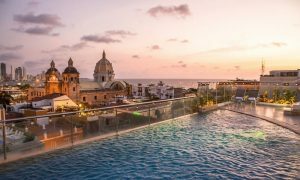 Cartagena is a city steeped in its ancient heritage, with archaeological evidence showing habitation in the area for over six thousand years. The 16th century walled city and fortress were designated a UNESCO World Heritage site in 1984. Embark on a unique tour of the Old Town by horse-drawn carriage as our tour guide narrates the fascinating history of city’s colonial origins, its many years of Spanish rule and importance in the 19th century Wars of Independence. After dinner, the remainder of the evening can be leisurely spent resting and relaxing in the hotel, or take a walk around the cobbled streets of the local neighbourhood to immerse in some of the sights and sounds. After breakfast we ascend to zigzag up to the 17th century monastery at the top of Cerro de La Popa for magnificent panoramic views of the city and the Caribbean. Delight in the gold altar and beautiful image of La Virgen de la Candelaria, the patroness of Cartagena, in the convent's chapel. We then set off to the imposing San Felipe Fortress atop the lofty San Lázaro hill. One of the largest fortresses ever built by Spanish colonists, it was constructed in 1536 to defend the city from attacks by pirates of the Caribbean. Receive a guided tour of the underground tunnels and monster triangular walls of this UNESCO World Heritage Site. 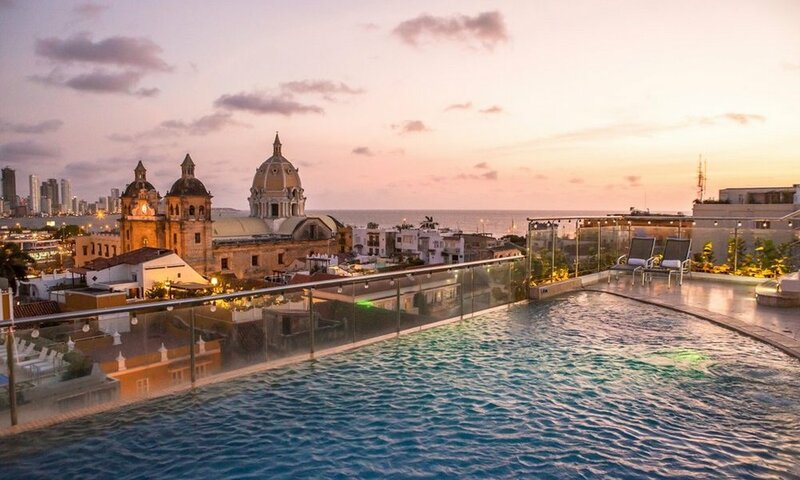 Following this we make a short transfer to the ciudad vieja (old town) where we visit the magnificent 17th century Church of San Pedro Claver dedicated to the Jesuit priest who supported slaves arriving in Cartagena from Africa. We then visit Las Bóvedas, originally built as a dungeon which now accommodates a wide range of locally-made arts and crafts. After lunch we transfer to the shaded Bolívar Park, a perfect place to wander and relax during the warmer part of the day. Here we learn about Simón Bolívar, the most influential figure in Latin America's successful struggle for independence from the Spanish. Once we are well-rested we move on to the Inquisition Palace, a beautiful building used by the Inquisition as their headquarters in the region which now contains many examples of the tools they used in their cruel tortures of “heretics”. Finally, we are guided through the Templo de Santo Domingo, the oldest church in the city. The building displays a mishmash of architectural styles, as additions were made throughout history to prevent the formidable vaults from collapsing. We spend a while enjoying the buzzing Santo Domingo plaza outside the church before returning for dinner. After breakfast we transfer to the airport and fly to Pereira, a vibrant city nestled in the foothills of the Andes and one of the three cities of Colombia’s “coffee triangle.” We make our way to the famous San Vicente hot springs for a lavish spa session. Here we invite you to relax and unwind in the thermal pools with views of mountains and cascading waterfalls, or be adventurous and try a mud bath. Afterwards we return to Pereira and check in to the deluxe Movich hotel. You are free to spend the remainder of the day resting and relaxing in the hotel, or take a walk around the student-filled city to hunt out your first cup of local coffee. In the morning we make our way through an extraordinarily beautiful landscape to Valle de Cocora (Valley of the Palms), part of the Los Nevados National Natural Park. This spectacular site is famous for its “wax palms”, the national tree of Colombia that can grow up to 180ft (55m) tall. Be sure to look out for some of the most unique flora and fauna in the world as we pass through the valley, including tapirs, bears, sloths, parrots, toucans and even pumas! When we arrive those who wish are invited on a truly unique experience – a horseback tour of the valley. Those who are not comfortable on a saddle can instead ascend by foot through the cloud forest – a mysterious wood engulfed in perpetual fog. After this busy morning we can satisfy our appetites with a traditional meal of smoked trout, or many other delicious local alternatives. On our return journey to Pereira we stop at Salento, a relaxed and quiet town that retains most of its colonial architecture in its colourful streets. We can take our time exploring the various artisanal shops and purchase some gifts, or sample some of the famous Aguardiente Antioqueno liquor. We recommend visiting the Plaza de Bolívar to admire gaudily decorated balconies, or if you have not had enough heights for one day make your way up to the Cocora viewing area for some panoramic sights. After dinner we can put our feet up and relax after this exciting voyage. After breakfast we set off on our full-day coffee tour of rural Colombia. Our voyage brings us to the Coffee Cultural Landscape of Colombia (CCLC), a UNESCO World Heritage Site protected for its unique natural, economic and cultural features. We visit the town of Chinchiná and explore its hinterland, stopping at various points to admire the stunning landscape. We then visit an authentic coffee hacienda (plantation) to learn how coffee is produced in this volcanic environment. Become acquainted with local techniques for growing, toasting and preparing the coffee beans that make the perfect brew, and learn how to become a coffee expert as we are guided through the characteristics in a tasting session. You will be an expert barista by the time we are finished, and there will be plenty of samples for you to bring home and show off your skills. When we return to Pereira we transfer to Matecaña International Airport and fly to the capital city of Colombia, Bogotá. This elegant and sophisticated city is the cultural centre of the country. 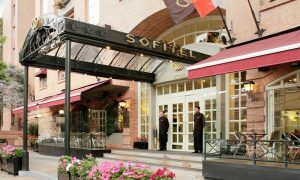 We check into the Sofitel Victoria Regia Hotel and enjoy a lavish meal before retiring for the night. We take advantage of the cooler morning to drive through the savannah to Zipaquirá, where the famous Salt Cathedral is located. This unique feat of engineering is composed of a disused salt mine which was converted into a church, complete with a dome and Stations of the Cross. Delight in the exquisitely colourful chapels, a mirror of water running down the saline walls, and the largest salt cross in the world, measuring 16m (52ft) high! We then return to Bogotá for lunch, and then set off on our guided tour of the historic old town, La Candelaria. Passing through the Plaza de Bolivar, we learn about the founding of the town, its gruesome military history, and of expeditions to the legendary city of gold, El Dorado. We stop at the magnificent Cathedral of Bogotá, which holds the remains of the founder of Bogotá, Gonzalo Jiménez de Quesada. Be sure to admire the adjacent Capilla del Sagrario with its remarkable religious art by the Baroque artist Gregorio Vasquez de Arce y Ceballos. Next we are guided to the Colombian Palace of Justice, the Palacio Liévano where Bogotá’s mayor works, the ancient San Bartolome School, and in due course finishing at the Los Comuneros House – a fine example of traditional, domestic architecture. Our tour continues to the Capitolio Nacional, the building that houses the Colombian government. This is a fine early example of republican civil architecture, resplendent with renaissance and neoclassical influences. We receive a guided tour of the Elliptic Hall, and histories of the famous Colombians whose busts are on display, such as Rafael Núñez, the composer of the Colombian National Anthem. Afterwards we can linger in the Botero Museum – a wonderful gallery dedicated to an artist with unique talent, though also containing many other works of art by Picasso, Renoir, Dalí Matisse, Monet and Giacometti. Our final destination on this thrilling day is the Gold Museum. Be dazzled by over fifty thousand artefacts on display, including the biggest of pre-Colombian gold in the world. Afterwards we return to the hotel to prepare for the Shabbat and enjoy our dinner. After the Shabbat services and lunch with the local community, you are free to spend the rest of the day freely. We recommend having a relaxing stroll around the wonderful Simón Bolívar Park, or shopping for gifts at the Pasaje Rivas craft market. Following breakfast, we are transferred to El Dorado International Airport and return home.